The Rodeway Inn Ocean Viewis just one block from the Atlantic City Boardwalk and many beautiful Atlantic City beaches. The Tropicana Atlantic City Casino and The Quarter dining and entertainment venue is across the street from this Atlantic City hotel. 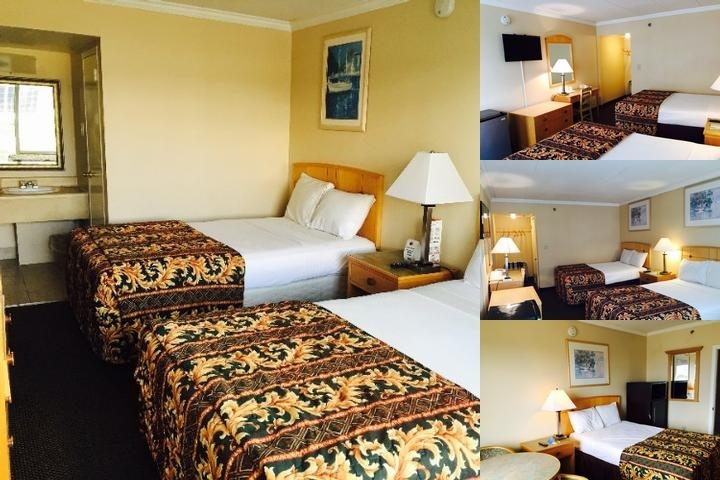 A good night and great savings await you at the Rodeway Inn Oceanview hotel in Atlantic City, NJ. Located on Pacific Avenue, just a block from the beach, our hotel offers you easy access to all that the Jersey Shore has to offer. While at the hotel, we offer you value-minded amenities to help you stay on budget while traveling, like free WiFi, free parking, free coffee in the lobby and access to copy and fax machines. We invite you to relax in your guest room, which features cable TV. Some rooms include refrigerators, microwaves and balconies. Also, earn rewards including free nights and gift cards with our Choice Privileges Rewards program. There is a parking charge. Please contact hotel for specific charges. Charges vary by day of week. The graph above is trends of room rates for both group quotes and the lowest online individual prices our system could find at the time the group offer was entered. The lowest group or meeting displayed is 37.1% in the month of August 2017 and the highest average individual rate is $259 in the month of August 2019. This chart will show past seasonality and also project future months. If you are flexible with dates, you may want to consider staying at Rodeway Inn Oceanview in a month when rates are lower.